Sripad Vaishnav Maharaj’s exciting lectures convey his deep and contagious appreciation for Srila Govinda Maharaj and his teachings. Vaishnav Maharaj’s tone was always very honest and his advice focused on the essential aspects of Bhakti-yoga. 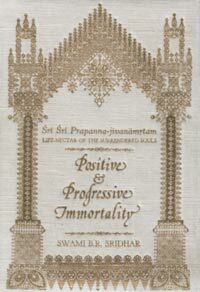 Throughout the winter and spring of 2010/2011 Sripad Vaishnav Maharaj gave class on Tuesday and Thursday evenings from the holy scripture Sri Sri Prapanna Jivanamritam by Srila B.R. 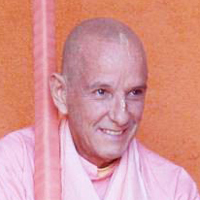 Sridhar Dev-Goswami Maharaj. Vaishnav Maharaj insisted that everyone in the class would take turns reading the verses. 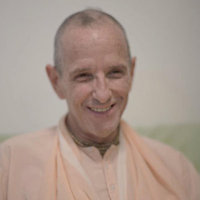 Although various devotees read the particular Sanskrit and Bengali verses, Sripad Vaishnav Maharaj illuminates their meaning and mentions illuminating anecdotes from his early experiences in Krishna Consciousness as well as his long years of personal service to Srila Govinda Maharaj. Scroll down to download or view a pdf of the text. File names describe the chapters and verses covered during the class. For example, the first one is on chapter 1 verses 1-37.